In progressive Seattle, it’s no surprise that one of the latest ice cream outposts to hit the town is a collaboration between two of the city’s top female tastemakers. 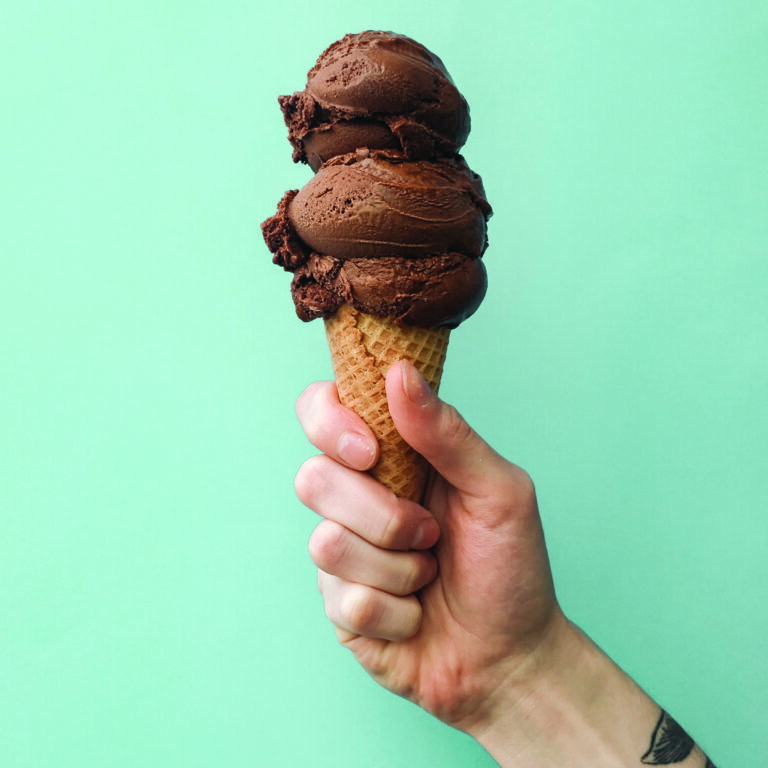 Frankie and Jo’s (1010 E Union St; frankieandjos.com) in Capitol Hill scoops plant-based ice cream with flavors like chocolate date and gingered golden milk (try a topping of “Moon Goo,” its signature blend of salted caramel and activated charcoal). A half-mile away, Trove (500 E Pike St; relayrestaurantgroup.com) dishes Korean-influenced frozen custard in parfait form out of a bedazzled mini ice cream truck just beyond the restaurant’s front door. And speaking of newcomers, Kurt Farm Shop (1424 11th Ave; kurtwoodfarms.com) quickly earned a spot among local favorites with custard-based seasonal flavors like blackberry and Szechuan peppercorn, while Portland sensation Salt and Straw (711 E Pike St; saltandstraw.com) brought its wild flavors to Seattle with outposts in Capitol Hill and Ballard. Ballard’s Parfait (2034 NW 56th St; parfait-icecream.com) is home to locally sourced offerings like Ballard Bee Honey (along with some of the best ice cream cake in town), and the neighborhood’s Full Tilt outpost (5453 Leary Ave NW; fulltilticecream.com), one of four in the city, is known for its series of icon-inspired flavors, like cinnamon honey chocolate for the Seattle-based band Mudhoney. As for local staples, Molly Moon’s Homemade Ice Cream (multiple locations; mollymoon.com) can be found in creameries across the city, including a walk-up window at Capitol Hill cookie haven Hello Robin (522 19th Ave E; hellorobincookies.com) if you’re craving a frozen treat in sandwich form. Bluebird Ice Cream (multiple locations; bluebirdicecream.com) is another scoop staple with creative flavors—don’t miss the vegan horchata. If you find yourself in West Seattle, mainstay Husky Deli (4721 California Ave SW; huskydeli.com) has been serving heaping scoops of handcrafted flavors since 1932. When it comes to gelato, Nutty Squirrel Gelato (7212 Greenwood Ave N; nuttysquirrelgelato.com) in Phinney Ridge, Fainting Goat Gelato (multiple locations; faintinggoatseattle.com) in Wallingford and Fremont, and Gelatiamo (1400 Third Ave; gelatiamo.com) in downtown are worth a spot on your itinerary—all three serve small-batch gelato made with seasonal ingredients.